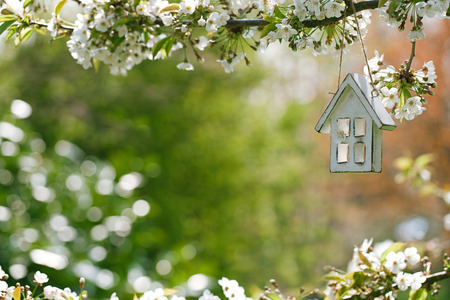 Are you thinking about whether Spring is the right time to buy a new home in Lake Travis, Austin, or the surrounding areas? If so, here's some great reasons why now is a good time to buy a home instead of waiting. According to CoreLogic’s latest Home Price Index reports, home prices have continued to increase by 6.6% over the last 12 months. The same report predicts that prices will continue to increase at a rate of 4.3% over the next year. The bottom in home prices in Austin has come to pass. Home values will continue to appreciate for years. Waiting to buy a home in Texas just doesn't make sense. Freddie Mac’s Primary Mortgage Market Survey shows that interest rates for a 30-year mortgage hovered close to 4.0% in 2017. And according to experts, that rate will continue to rise. The Mortgage Bankers Association, Fannie Mae, Freddie Mac and the National Association of Realtors all agree that rates will increase by nearly a full percentage point by this time next year. Higher mortgage rates means higher mortgage payments. You likely want to avoid that from happening. Many renters are afraid to take on a mortgage. The thing to remember is that you are paying a mortgage when you rent, it's just someone else's. Having a mortgage payment is a form of ‘forced savings’ that allows you to have equity in your home that you can tap into later in life. when you rent, it's your landlord is the person with that equity. There are two things that determine the cost of a home: the price of the home and the current mortgage rate. Both of those factors are rising. Would you still wait if they weren't? Examine the real reasons you want to wait. Are you doing fine where you are living now? Or do you need to have a better place for your children? Maybe safety is a concern. Maybe now is the right time to buy. Rebecca Shahan has been helping people buy their homes in Lake Travis and Austin for years. She can help you make the right choice in a home if you do decide it's time to move. Call today at 512-657-4467. Or search for a home online with our convenient home search tool.